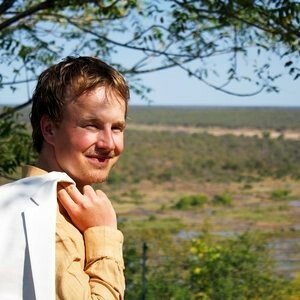 My name is Jasper Eikelboom, 27 years old and I work at the Resource Ecology group of Wageningen University. I am currently in my second year as a PhD candidate. My research focuses on animal movement with the goal to infer the animals’ internal state and surrounding environmental conditions from animal movement sensors. It’s a hypotheses-free and data-driven study that also has an immediate goal to automatically detect poachers in a savannah ecosystem with sensor-tagged ungulates. Outside working hours I spend most of my time doing triathlon and enjoying the company of my horse and dogs.